Graffiti art originated in the late 1960’s, and it has been developing ever since. It’s not readily accepted as being art like those works that are found in a gallery or a museum. Most of the opposition to graffiti art is due to its location and bold, unexpected, and unconventional presentation, and that often it involves illegal locations or does it necessarily qualify as art. 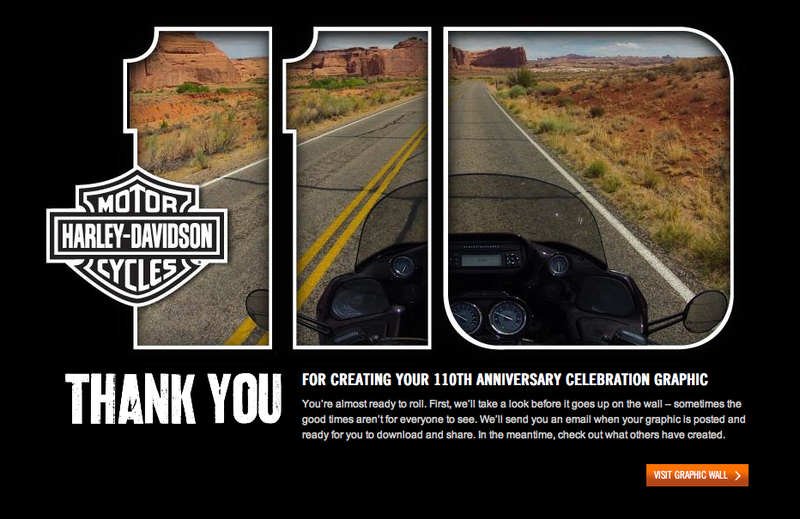 H-D is giving all its fans an opportunity to create their own “graphic art” as part of the 110th Anniversary Celebration. The graphic maker is located HERE where you can upload a personal photo and have it framed within the 110th Anniversary logo. Once the upload is complete and the photo gets checked/validated it will be shared on the 110th Anniversary “Graphic Wall” and visible to the riding world. Harley announced that tickets for the Milwaukee 110th anniversary will go on sale to the general public on Dec. 17th. 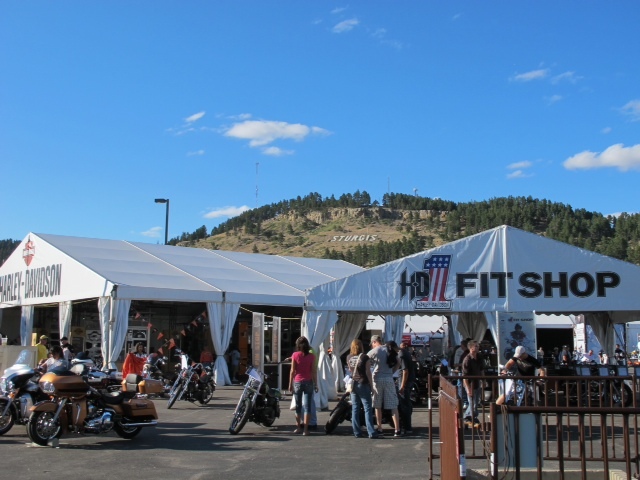 You might recall that Harley began its year-long, worldwide celebration about 3-months ago. 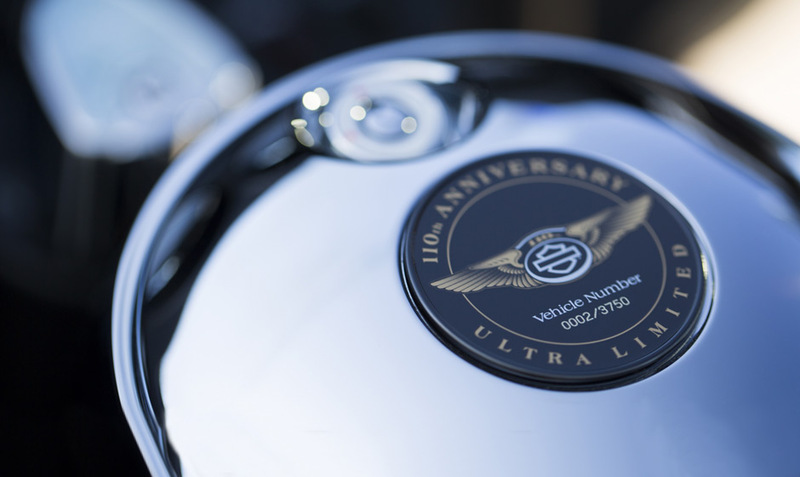 The motor company is holding events across 11 countries, and the final celebration happens over Labor Day weekend in 2013. The tickets are located at: www.H-D.com/110tickets and HOG members can buy tickets beginning Dec. 10th. Harley is selling a “celebration ticket” for $95, which includes access to the Summerfest grounds, an opportunity to purchase tickets for the headlining concerts at Marcus Amphitheater before they go on sale, a link to download the official event app for a mobile device or smartphone, a map of historic Harley-Davidson sites in Milwaukee, and automatic entry to win a parade pass. They will also offer a $102.50 commemorative ticket which includes a photo frame holder, commemorative laminated ticket and lanyard, a Milwaukee 110th Anniversary pocket guide, a limited edition poker chip, a guitar pick keepsake and a collapsible koozie for refreshments. Next month marks the 23rd anniversary of the Chernobyl Nuclear Power Plant disaster in Ukraine. I stumbled onto Elena’s site several years ago, but had misplaced the URL until just recently. She travels a lot on her Kawasaki Ninja (ZZR-1100) and one of her favorite riding destinations leads North from Kiev, towards the Chernobyl “dead zone”, which is about 80 miles from her home. She has photographed and documented her motorcycle radiation travels into the “Zone of Alienation” and it’s well worth the read. As background — On Friday evening of April 25, 1986, the reactor crew at Chernobyl-4, prepared to run a test early the next day to determine how long the turbines would keep spinning and producing power if the electrical power supply went off line. While dangerous they ran this test previously. Several alterations were made to the generators to lower the power output. As a part of the preparation, they disabled some critical control systems – including the automatic shutdown safety mechanisms. Shortly after 1:00 AM on April 26, the flow of coolant water dropped and the power began to increase. At 1:23 AM, the operator moved to shut down the reactor in its low power mode and set-off a chain of events. In a matter of seconds the reactor went from 5% output to 100 times its normal level. The coolant water flash-boiled, triggering a huge steam explosion which leveled tons of concrete and steel including the 2000 ton cap on the nuclear containment vessel. Many of the 211 control rods melted and then a second explosion, whose cause is still the subject of disagreement among experts, expelled fragments of burning radioactive fuel core and allowed air to rush in — igniting several tons of graphite insulating blocks. Once graphite starts to burn, it’s almost impossible to extinguish. Hundreds of volunteers died on the scene ill prepared for this type disaster. The public alert about the release of radioactive material didn’t come from Soviet sources, but from Sweden on April 27 where workers at the Forsmark Nuclear Power Plant (680 miles away) were found to have radioactive particles on their clothing and they were determining the source. It took 3 days before all permanent residents of Chernobyl were evacuated due to unsafe levels of radioactivity. It took 9 days and 5000 tons of sand, boron, dolomite, clay and lead dropped from helicopters to put out the graphite fire. Over 2M acres (or 1/5 of the usable farmland in the Ukraine) was, and still is unusable. There have been military and research reactor deaths (e.g. Idaho; Tokai-mura), but the Chernobyl disaster has the distinction of being the only commercial nuclear power plant where radiation-related fatalities occurred. The last 2 reactors at Chernobyl remained operational and online until shut down in 2000. Chernobyl has been renovated and is now home to more than 500 residents. Those include nuclear scientists, maintenance officials for the Chernobyl power plant, liquidation officials, doctors, physicists, and most of all, radiation physicists. Visitors to the Zone of Alienation can stay at a local lodge in the Chernobyl suburbs. While I like taking long motorcycle rides on empty roads the requirement of a Geiger counter mounted to the handle bar would be a deterrent! Footnote: the northwest has it share of “reactor rides.” There is Trojan (decommissioned), Columbia Generating Station (near Richland/Hanford and only pacific northwest running plant), and WPPSS at the Satsop site which shines on as a $2.25B economic default. Photo courtesy of Elena web site. One year later…I realized this morning I’ve been writing this blog a full year. 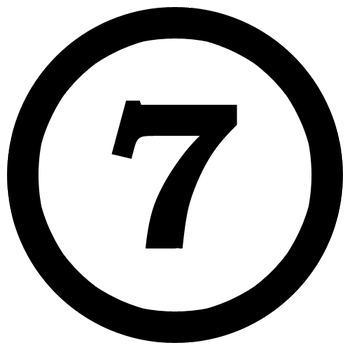 I looked back in the archives, and my first blog was posted on July 2, 2007. I suppose I should throw some confetti, twirl a sparkler or do something and mark the occasion? Reflecting for a moment, I’m pleased that I fulfilled my commitment to write the blog (on a somewhat consistent basis) for a year. In full disclosure mode, I make no money from this blog. It’s a hobby and I like helping, learning and passing on information. In addition, I’ve learned that writing a blog is work. If it was just a web site to update once or twice a month and add a new page that would be good enough, but a blog requires that you moderate comments while keeping up with the conversation and always pumping out content relevant to the scheme and events. I don’t know how long I’ll continue. I suppose as long as I feel like it or have time. I’ve appreciated how other bikers from all corners of the globe happen onto my blog, and share similar motorcycle experiences and useful information. Of course I’ve seen my share of “trolls” who seem to get satisfaction out of online harassment which is the unpleasant part of this culture. 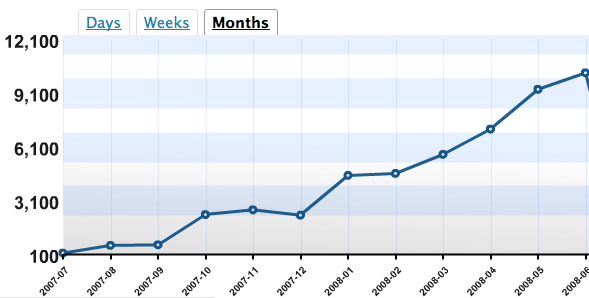 There are many ways to measure success of a blog. The chart (left) and stats below indicate I’ve obtained moderate interest as compared to “hired guns” or high profile journalists at other sites. I’m okay with the results because I work to publish quality material and I enunciate my conclusions. I work to find/highlight quoted material, images and provide attribution links to other sites/authors so anyone can form their own viewpoint. The top posts on the site indicate a lot of interest in outlaw motorcycle gangs. That is disappointing…a number of my posts (in my viewpoint) were much better, but I do understand how drama attracts. Again thank you all who have stopped by and read/commented on my blog. 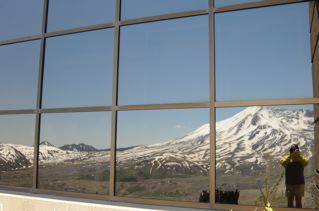 Photo is a reflection of me taking a photo of Mt. Saint Helens. 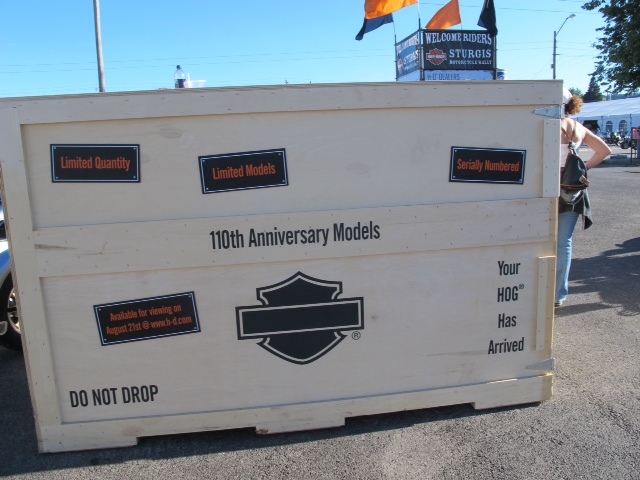 True to their word for a Spring delivery, the Harley Davidson 105th Anniversary Ticket Package started shipping to everyone who purchased tickets to the event. Mine arrived this past weekend and like a kid at Christmas I couldn’t wait to get the thing open and see what was inside. Includes admission to the 2-day festival on The Henry Maier Festival Grounds (called Summerfest). An American and 105th Anniversary mini-flag. For the 105th event the price of the package was $60 U.S. plus $5 for shipping. All things increase and this reflects a price increase of $10 over the 100th Anniversary five years ago. Not as dramatic as oil prices, but when I went looking for my 95th Anniversary package to compare pricing I learned that it doubled in the past 10 years! That is comparable to oil prices, but don’t get me started. Granted the price of the package is primarily for the event tickets and I wasn’t’ expecting a lot from the “swag”, but I’m not sure where they found the cow for that leather-ette folio. And the commemorative key chain with a Bud-Light ad would have been marginally useful had it contained a cool HD logo or something other than a “Ride Straight Ride Safe” drive responsible slogan.